The Upper West Side of Manhattan is primarily a residential area extending west of Central Park to the Hudson River from 59th Street all the way north to 110th Street. Here, elegant, pre-war buildings along West End Avenue, Riverside Drive, and Central Park West meet shady, quiet streets lined with brownstones. Upper West Side History - As the 1890's brought the boom of apartment buildings to the West Side, the showy country homes were pushed out to meet the needs of the population. In 1904 when the subway revolutionized public transportation, people found it much easier to access the Upper West Side and more affluent residents moved into the area. As other neighborhoods the upper west side has had its ups and downs. The wealth of young 30 - somethings in the 1980's has had a huge impact on the area and brought the upper west side up to standards of family life. The Upper West Side is home to such famous apartment buildings as the castle-like Dakota, where the late John Lennon lived. The Ansonia, The Lanhgam (a 1920s Italian Renaissance-style high rise); the twin-towered San Remo (home to such luminaries as Rita Hayworth, Dustin Hoffman, Paul Simon, and Diane Keaton); and The Kenilworth, with its impressive pair of ornate front columns, that housed Michael Douglas before he moved to his new apartment on the Upper West Side. 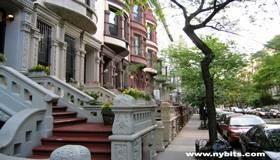 Morningside Heights is set within the Upper West Side as well. The local supermarkets are wonderful with every kind of food source you can think of. Here, you´ll also find fabulous food stores such as Fairways, Zabar´s, Citarella´s and, one of the great secrets of the upper west side, Bruno Ravioli. The once grim Columbus Circle, at the south west corner of Central Park, is reborn. The Mandarin Oriental, an amazing new hotel, the Time Warner Building and One Central Park West have caused prices to skyrocket in this area. The Price Per Sqaure Foot (PPSF) from all of 2015 is $1,407.97. Places worth noting on the Upper West Side are the famous Lincoln Center for the Performing Arts, located between 61st and 66th Streets on Broadway. It sits on 16.3 acres of land and his home to twelve of the worlds most prominent performing artists groups in the world such as New York State Theater, New York City Ballet, the New York City Opera, the Metropolitan Opera House, Avery Fisher Hall, the New York Philharmonic Orchestra, the Vivian Beaumont Theater, Jazz At Lincoln Center, the Library and Museum of the Performing Arts, Alice Tully Hall for chamber music, and the world-famous Julliard School of Music which was one of the first to become a constituent. Ground was broken in 1959 by Dwight D Eisenhower, four years after it's inception. John D. Rockefeller was the first president of the performing arts center and served until 1970. The Walter Reade Theater is the home of the center's film society. 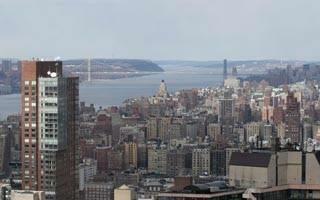 One more place worth several visits is the American Museum of Natural History and the Planetarium. Columbus Avenue, Amsterdam Avenue and Broadway are filled with stores Gourmet Food Stores and restaurants, while Central Park West, West End Avenue and Riverside Drive are almost exclusively residential. While many consider the most elegant living areas of the Upper West Side to be Central Park West and the cross streets in the high 60´s, the 70´s and the low 80´s, along West End Avenue, there are incredible pre-war buildings that go all the way to West 105th Street and beyond. 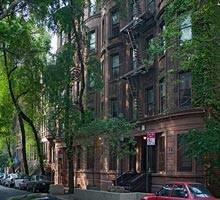 If you travel north of West 89th Street you will see that the area has improved immeasurably. There are now very good restaurants, stores and even jazz clubs here.